125 Years of industrial and shipbuilding history, but still innovative. Royal Schelde is part of the Damen Shipyards Group. Today Royal Schelde's main activity is Naval Shipbuilding. In fact Royal Schelde has been involved in most projects for the Royal Netherlands Navy's new surface combatants and support ships such as the Enforcer. 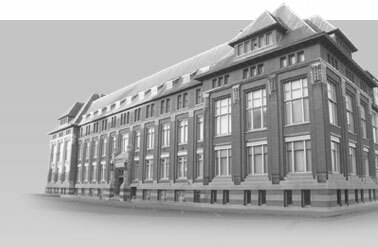 In addition we present you five other business units within Royal Schelde as listed on this page. We hope you have the time to get better acquainted with Royal Schelde. In the event you require additional information we shall be more than happy to oblige, please send your inquiries at info@schelde.com. Damen Schelde Naval Shipbuilding is a naval shipyard that makes optimal use of its know-how and experience from both the military and commercial sectors and is specialized in the design and construction of naval vessels and complex commercial vessels. Master Dutch shipbuilders since 1918, Amels emerged in 1982 as a global brand leader in yacht building. A member of Damen Shipyards Group since 1991, Amels has launched more than 30 superb custom yachts, universally admired for flawless quality. Scheldepoort Repair and Conversion Yard is your reliable partner for all maintenance, repair and conversion work. At our quays and in our drydocks we are able to accommodate all types of seagoing vessels with various utilisation goals and offshore installations. Damen Schelde Gears is a company specialised in gear technology and technical services. Damen Schelde Gears has more than 85 years experience in the design of main propulsion gears for navy and merchant marine applications. Damen Schelde Marine Services is an independent operating Company within the Damen Schelde Group, which in turn is part of the Damen Shipyard Group. Their main area of operation is in the manufacture and supply of diesel engine parts, primarily for the marine industry.